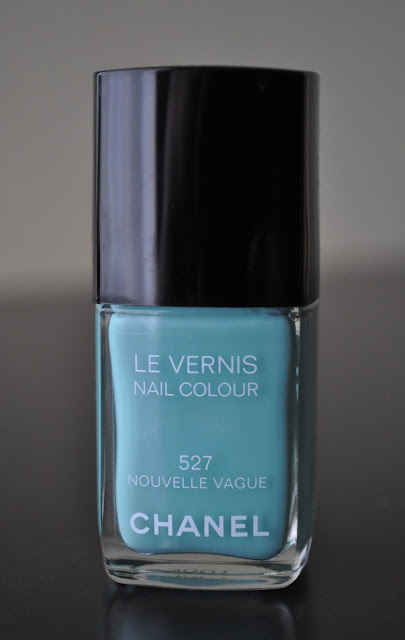 In the bottle, Nouvelle Vague has a pearl shimmer, but that shimmer disappears somewhere during transit, leaving a pale turquoise aqua cream finish. 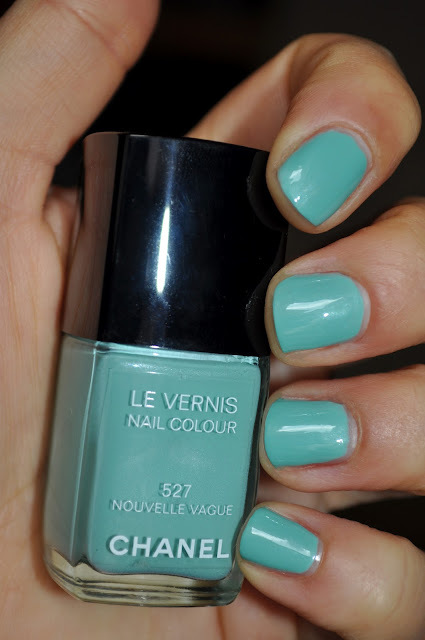 What are you wearing on your nails at the moment? Beautiful nail color! It looks perfect without the shimmer! I am wearing a Julep Maven color called Niecy! It is a bright coral! I've never tired the Julep polishes, how are they? Thanks for stopping by my blog and following :) I am now a follower of you as well! Really?? do you know how I can fix that?